CoPatient is a Connecticut, US-based, technology-driven healthcare startup, launched by a group of entrepreneurs with a positive previous experience of creating successful companies in this business domain. 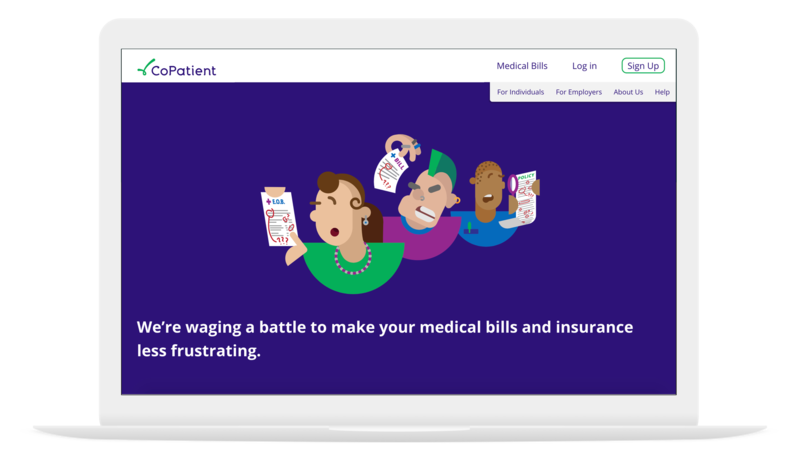 CoPatient aims to help consumers reduce their medical bills and solve other healthcare-related problems. Vilmate was approached by a group of US healthcare technology entrepreneurs that were looking to develop an innovative application for their new venture. The client’s web-based application is intended to automate the interactions between the healthcare consumers and consumer advocates and medical billing experts, well-versed in how to fix billing errors and to negotiate medical bills. The users can subscribe to a free or premium account, submit medical bills and other related documents, learn which bills would benefit from a review or a negotiation, and discuss their situation with company’s healthcare advocates and medical billing experts online. The company was looking for a development team to implement the whole application in cooperation with the startup’s founding partners. Vilmate put together a team consisting of 4 experts: 2 Full-Stack developers, 1 Web developer, and 1 QA engineer. During the two years that the project has been under development, the Vilmate team has been managed directly by the client. The main project challenge our team has encountered is associated with the need to ensure compliance with the stringent security requirements for data and document storage, imposed by the US law. Another significant challenge has been connected with the rapid rise of mobile over the last two years and the majority (over 60%) of the user requests originating from mobile devices. We have managed to overcome these challenges and have delivered the requested functionality strictly on time and on budget. The system has gone live and is, presently, in active commercial use. As the project is still underway, our project team is engaged in expanding the application in accordance with the client’s evolving business vision and plans. Vilmate enabled the client to develop the product on time, with great quality and at a competitive price. Daniel Lyakovetsky, Executive Partner @ CoPatient, Inc.